The International Workshop on Architectures for Future Mobile Computing and Internet of Things (FMCIoT 2018) Symposium will be held in conjunction with The 7th IEEE International Conference on Selected Topics in Mobile & Wireless Networking (MoWNet'18). The FMCIoT 2018 Symposium aims at soliciting original ideas on the broad area of Mobile and IoT architectures including challenges and opportunities, concepts and applications and future trends that addresses the aforementioned challenges. The Symposium aims to facilitate discussions among academics and industry to bridge Mobile Computing and IoT practitioners and make positive contributions to the field. Authors are invited to submit original, unpublished manuscripts. Submitted papers should be in accordance with IEEE format, and will be reviewed by at least two expert reviewers in terms of relevance, originality, contribution, correctness, and presentation. You are invited to submit original papers of up to 8 pages, written in English and compliant with the IEEE standard (8.5″x11″, two-column). The Conference Publishing Services will publish the proceedings. Submissions must be PDF files in IEEE format. 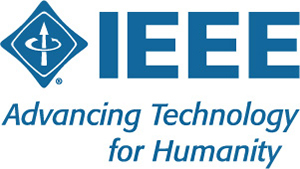 Accepted paper will be published in IEEE digital library. Which NoSQL database for IoT applications?